The rules are designed to reduce the probability and impact of distress or failure at a major firm. The rules are designed to “reduce the probability and impact of distress or failure” at a major firm. (Bloomberg) — Global insurers with the greatest ties to the financial system would face an average increase of 10 percent to capital requirements under new standards proposed by a group of regulators. The increase would be as high as 18.75 percent for unregulated-banking activities by firms deemed to be in a riskier tier, according to documents released Monday in Basel, Switzerland, by the International Association of Insurance Supervisors. For traditional insurance products sold by safer companies, the figure would be 6 percent. Global regulators are seeking to limit risk at the biggest financial firms to avoid a repeat of the government bailouts that were required in the credit crisis. While more rescue funds went to banks, the U.S. had to prop up insurers led by New York- based American International Group Inc., which was hobbled by losses on derivative bets on subprime mortgages. “The potential for systemic risk in insurance may become relevant where insurers significantly deviate from the traditional insurance business model,” the association said in a fact sheet. The rules are designed to “reduce the probability and impact of distress or failure” at a major firm. AIG, Germany’s Allianz SE and Paris-based Axa SA were among nine insurers designated by international regulators in 2013 as too big to fail. The overseers said then that implementation details for capital rules would be developed by the end of 2015 and apply from early 2019. Under so-called higher-loss-absorbency rules outlined Monday, the capital standard would be at least 12 percent higher than 2015 basic capital requirements for non-traditional insurance. Such coverage could include policies tied to mortgages and variable annuities, which are retirement products where results can fluctuate with gyrations in financial markets. 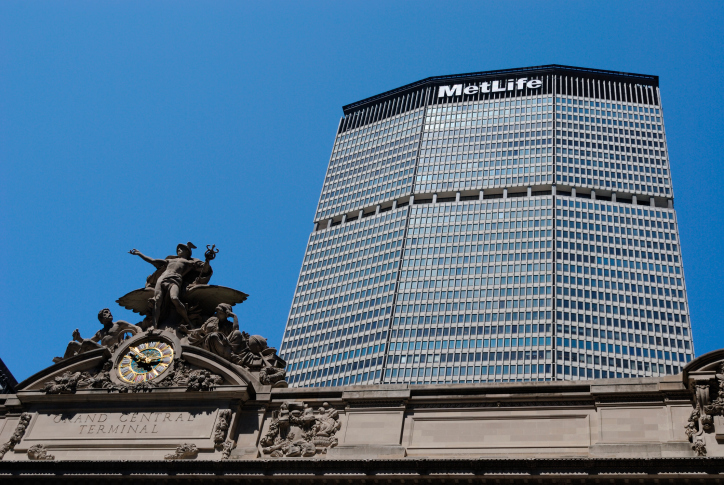 MetLife Inc., the largest U.S. life insurer and another of the nine companies, has been scaling back variable annuity sales in recent years. The company has been highlighting lines such as dental coverage or disability policies, where the insurer can reset prices to adjust to higher-than-expected claims costs, and where there is less risk tied to bond yields. Still, Chief Executive Officer Steve Kandarian has said excessive regulation could lead to higher prices for consumers and put his company at a competitive disadvantage. The CEO has sought to overturn a U.S. designation that his company is a non- bank systemically important financial institution. He has also said international supervisors shouldn’t move too fast and that rules meant for banks wouldn’t fit his industry. MetLife didn’t get a Treasury Department bailout in the credit crisis. The association said supervisors will be notified confidentially, starting next year, about loss-absorbency figures, and that standards will be reviewed annually. Insurers’ requirements won’t necessarily match 10 percent as companies have “different risk profiles and business models, so there is variation,” the group said. The IAIS is an organization of supervisors and regulators in almost 140 countries. Established in 1994, the association is a member of the Financial Stability Board. The other insurers named to the global list in 2013 were Prudential Plc and Aviva Plc of the U.K., China’s Ping An Insurance (Group) Co., Italy’s Assicurazioni Generali SpA and Newark, New Jersey-based Prudential Financial Inc.